Sorry, the best place is the end of the body section. Click the best location, in most cases, for this code. Click in the box and type the next character. I'll autocomplete. Fail-safe coding. If you type the wrong character, I'll cancel the keystroke. Include the file scripts.js in the HTML page. Add the closing tag. If you follow my recommendation, what is the line below the last </script> tag in an HTML document? Time goal: 40 seconds. Include the file scripts.js in the HTML page. Time goal: 20 seconds. 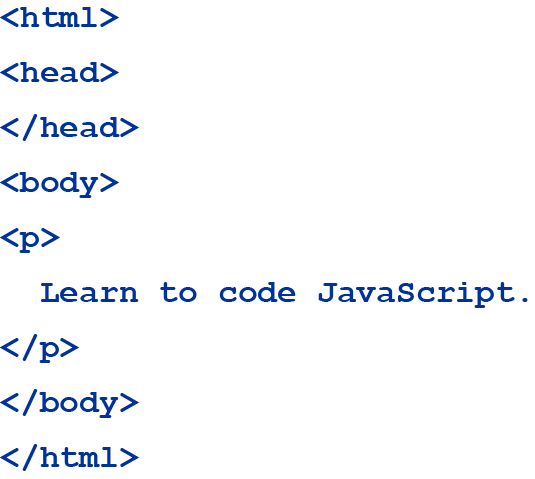 If you follow my recommendation, what is the line below the last </script> tag in an HTML document? Code an alert of your choice. Enclose the code inside the appropriate tags. Load the file practice.js that includes the function goodLooking. Call the function. When you code correctly, an alert will display.